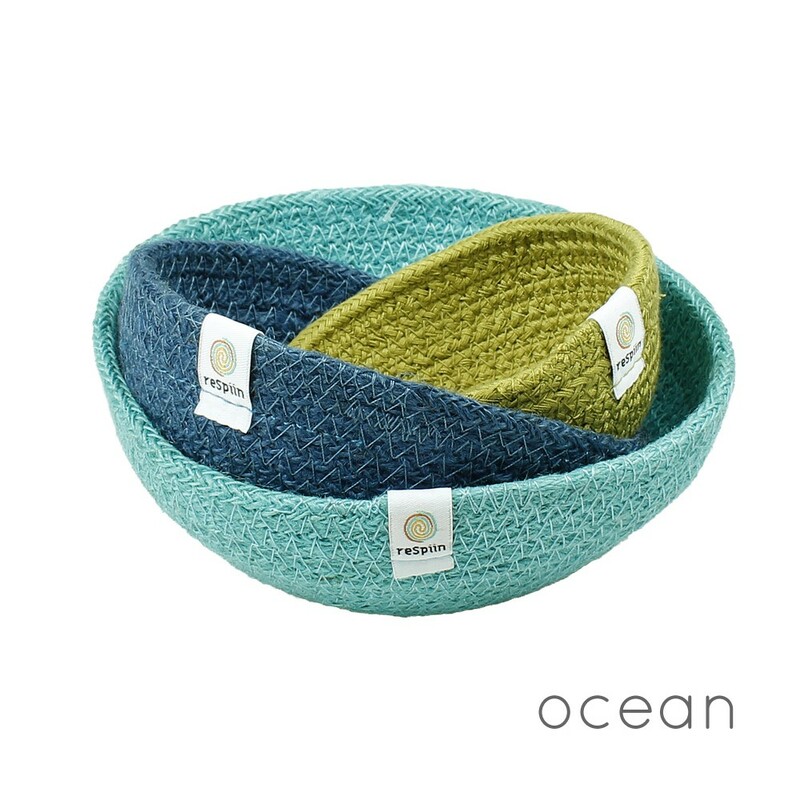 This set of 3 nesting Jute bowls from Respiin will become your playroom essential. 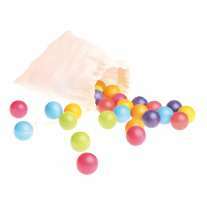 Ideally sized for toys and crafts such as crayons, beads and wooden balls, they come as a set of small, medium and large. 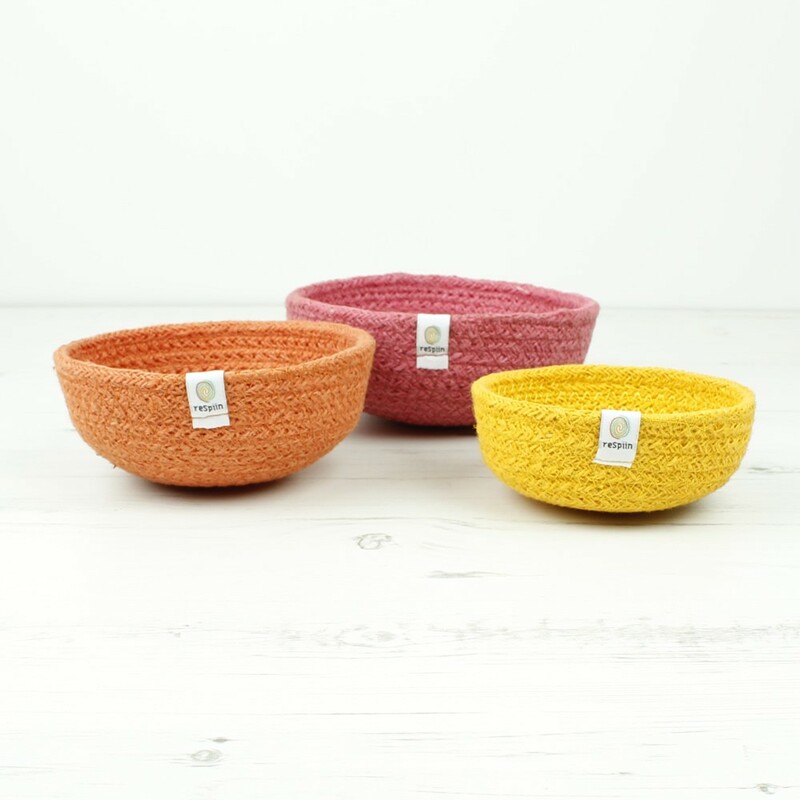 Brighten up your playroom and home with these colourful ReSpiin Jute mini bowls. 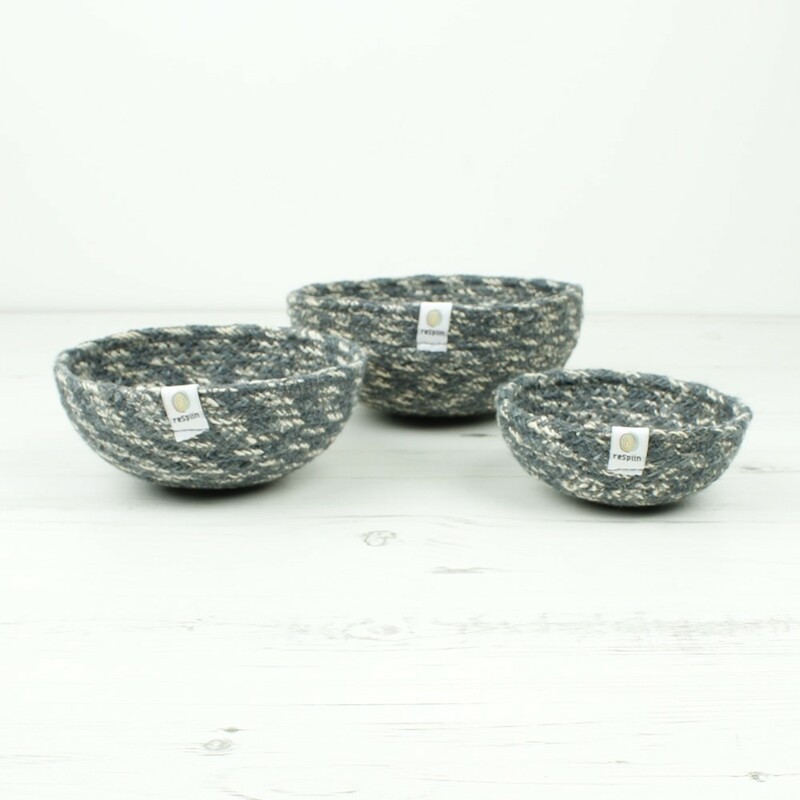 Available in a set of 3, these nesting bowls have endless uses for the whole family, and can contain a wide variety of toys such as treasure basket items. Encourage young family members to help themselves to their toys and crafts, but also help them learn to tidy up once playtime has finished, following Montessori principles. 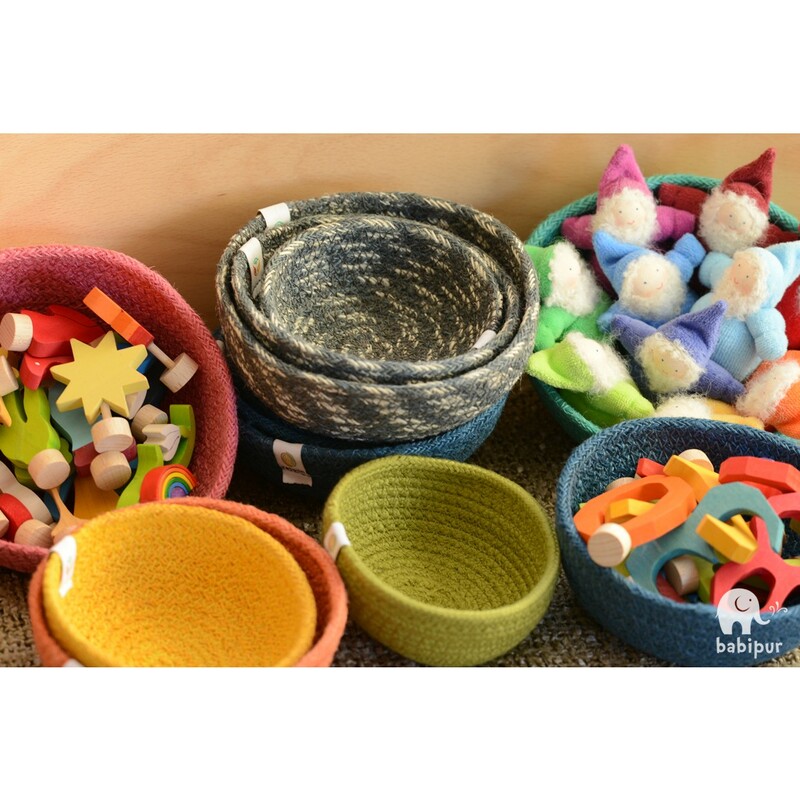 Beautifully made with natural material, they offer a wonderfully tactile alternative to plastic toy storage. 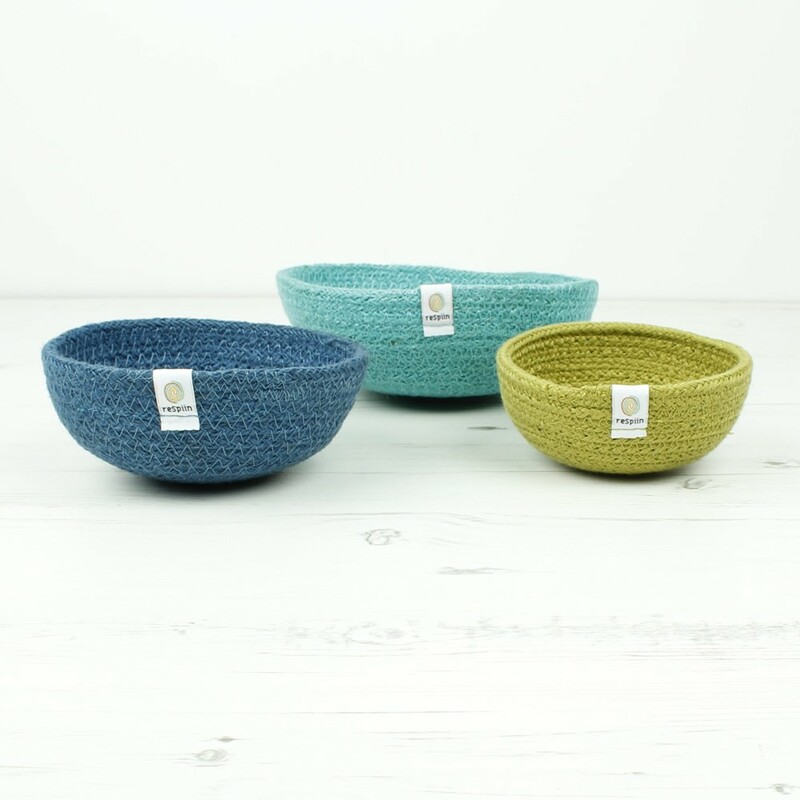 These mini jute bowls are the ideal size for displaying and storing items such as crayons, threading beads or wooden balls. Incorporate them into your playime or home schooling with simple but effective sort and count games. 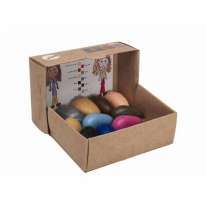 Perfect for schools, nurseries and Montessori environments. 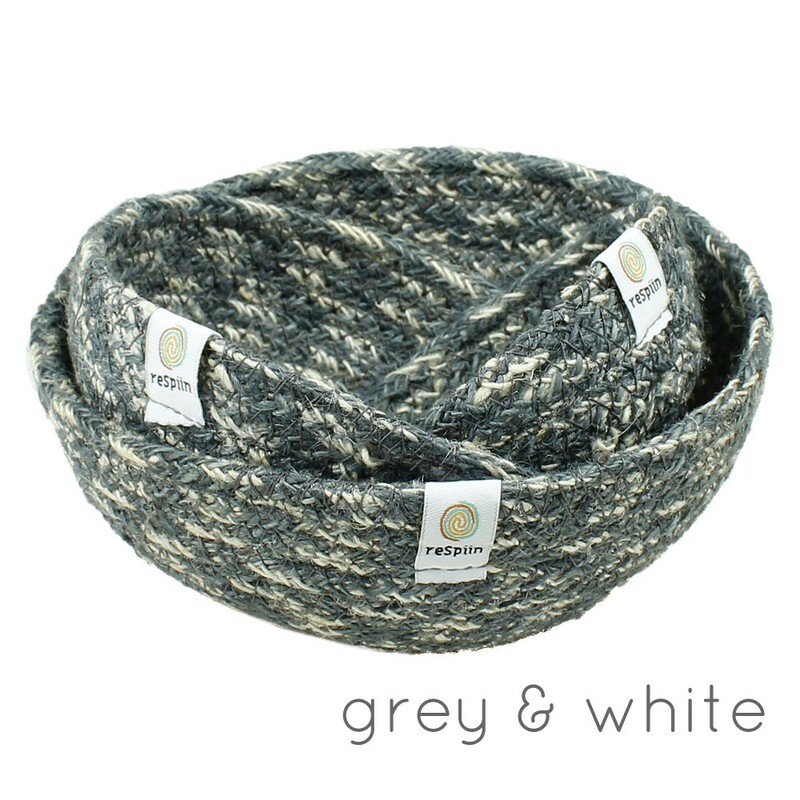 ReSpiin bowls are made from hardwearing sustainable Jute fabric and come from a fairtrade producer in Bangladesh. Colours may vary slightly due to batch differences. 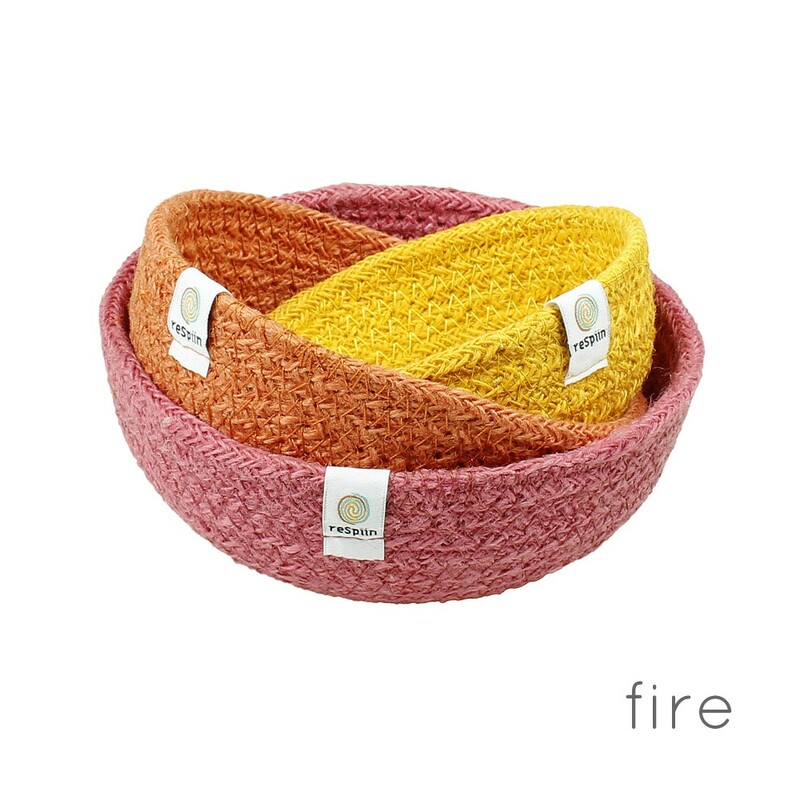 This nesting set of 3 includes 3 different sizes: small, medium and large. Available in a variety of colours, to suit any colour scheme. 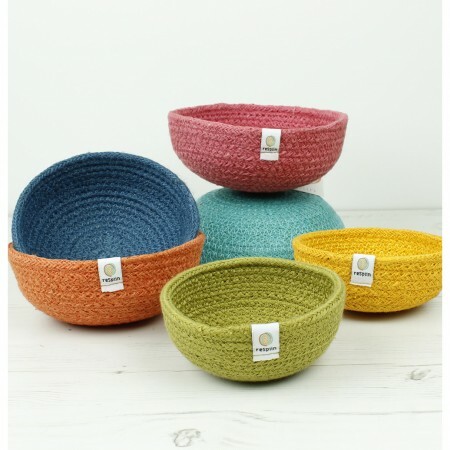 Jute baskets are wipe clean and coloured with Azo free dye.